With so many more sophisticated ways these days to safely harness your dogs, it's hard to not become confused among the myriad varieties! 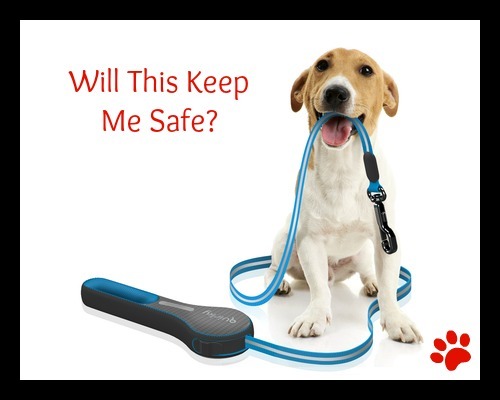 For a multitude of reasons including: popularity, aesthetics and modernity, retractable leashes continue to grace pet supply store shelves by the hundreds! Today, you can find ones in every color, shape, cord length, brand, size and complexity for just about any dog or pet. Does this mean you should use one? Maybe. Maybe not. Prickling leash burns. 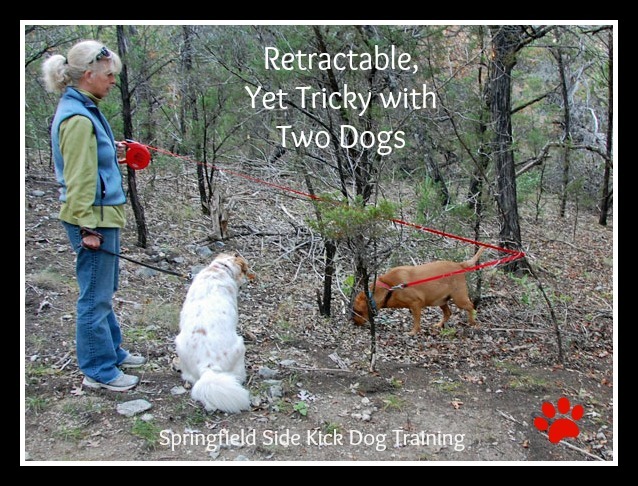 Retractable leashes, especially the thin string variety, can very easily cause leash burns. This could happen when you let your pooch race past you with the retractable line zipped up across your bare skin. Unwarranted injuries, however, can be prevented if you try the flat, tape style retractable leash. Entanglement or strangulation. Not only can retractable leashes burn us, they can also get twisted around a dog’s neck or legs. Worse, if your pooch panics and jerks the moment they get hog-tied; it could cause the leash to pull even tighter. Although you can loosen the cords that have wrapped around his neck, the situation could quickly become life-threatening. Fatal accidents. There are times when our dogs dart away all of a sudden, and with a retractable leash on him, your dog might dart even farther, faster. Nevertheless, it’s the reeling that’s a serious issue here. It is possible that Fido may spot a squirrel or anything interesting across the street, and suddenly take off after it. If you’re not alert enough, his abrupt behavior and an un-sturdy retractable leash could put him smack on the road, right in front of a speeding car. The leash drops. Because these leashes rarely have a wrist strap and are sometimes heavy and bulky, dropping them is a regular occurrence. What’s worse, if you drop the handle, the lack of tension can send the heavy handle hurdling toward your dog. Not only could the heavy leash handle smack your dog in the head, if your dog is spooked by the leash handle zipping deafeningly toward him, he may take off running. The cord is grabbed. If you grab the cord/tape while it is being pulled from the handle, you might suffer from immediate injury like cuts and burns. The cord wraps around you. Poor handling can also cause the cord/tape to twist around you or someone else’s fingers resulting in deep wounds, or worse, amputation. The collar breaks or comes off your dog. The moment this occurs, the leash could retract at top speed while the other end of the line whips around at the same full momentum leading to serious injuries to face, teeth, and eyes. What kinds of things do I need to consider when I use a retractable leash? When going to crowded places with your dog it is important to have a dog that will respond to your cues when things are very distracting. If they pull hard on a leash and drag you wherever they want to go, bark and lunge at dogs or people then some training and proofing is needed before going to a festival or event. In this instance I would recommend using a regular 6-foot leash not a retractable leash. The dog must walk well and respond to your cues on a short leash before using a flexi-leash. It is helpful to teach your dog to "go around" so they don't wrap around cars, mailboxes, people etc..
Do you use a retractable leash? If so, please share your experience with them!